OUR TEAM has over 30 years of experience, including many years in the Lower Mainland construction and development industry. We believe in building and maintaining excellent relationships with our clients, design teams, local authorities, and subtrades— which enables us to source the best trades at the best price for your project. We've proven our ability to keep projects on time, on budget, and safe while delivering the highest quality results. Our past clients' satisfaction speaks for itself! 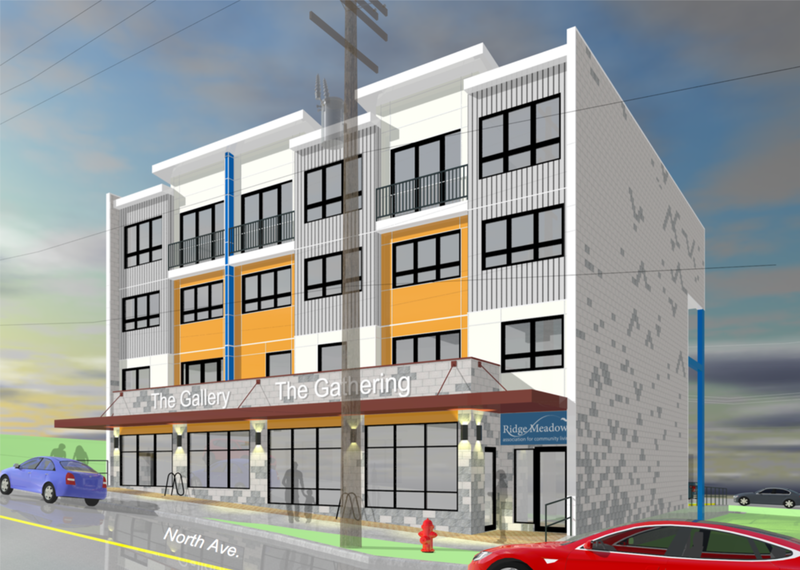 OUR PROJECTS include multi-family and mixed-used buildings, townhomes, heritage buildings, schools, churches, care facilities, commercial kitchens and dining halls, and hotels, as well as master plans and building envelope restorations. OUR PAST AND PRESENT CLIENTS include developers, builders, investors, non-profit organizations, educational institutions, the BC Heritage Branch, UBC Properties Trust, and private homeowners. Click on the images below to see full photo galleries of each project. 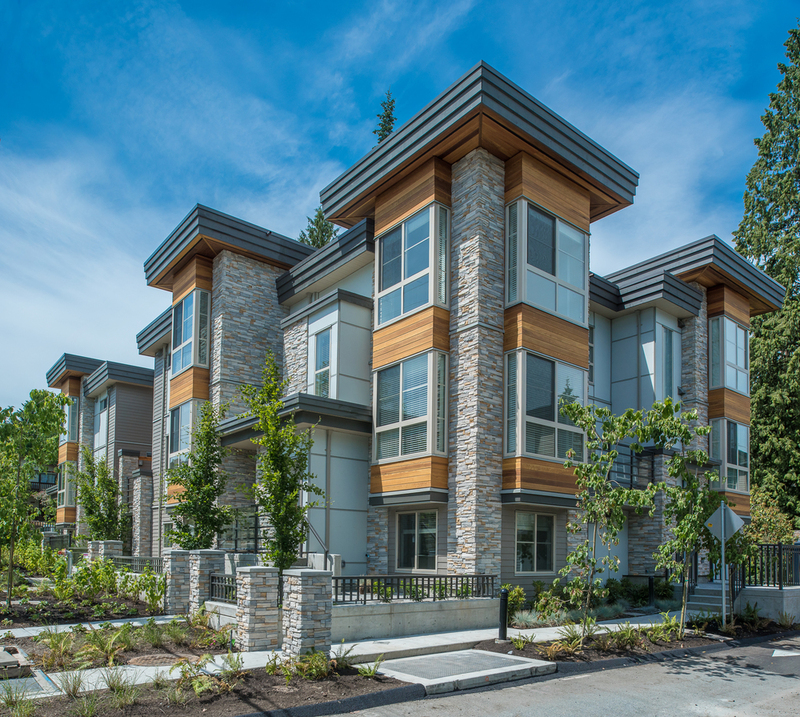 This collection of 7 executive-style townhomes is found in the heart of Lynn Valley in North Vancouver. Situated in a densely treed urban area, the project successfully overcame specific challenges including its compact footprint and tree protection requirements. With elegant interiors and nature-inspired exteriors featuring cultured stone and cedar, Ross Residence meets BUILT GREEN® gold-level standards. This mixed-use building features 43 residential units atop 10,000 sq. ft. of commercial space, and is the first 6-storey wood-frame building in BC. The project made use of a previously empty infill lot in the downtown Maple Ridge core and is a key component in the push to increase density in the core of the city. This 6,800 sq. ft. dining hall and commercial kitchen in the UBC Malcolm Knapp Research Forest is an important component of the picturesque Loon Lake Lodge & Retreat Centre, home to Camp Good Times. The majority of the wood used in the building was sustainably harvested from the surrounding forest and milled on site to complement the incredible natural surroundings. This two-story professional building in the heart of downtown Maple Ridge was built on a lot that had stood empty for nearly 100 years. The project helped kickstart Maple Ridge’s downtown revitalization. Tekton now houses their own offices in this beautiful building with sweeping mountain and river views. This brand new building in the heart of Maple Ridge accommodates the Ridge Meadows Association for Community Living’s offices as well as 7 residential units for their clients. Located in the UBC Malcolm Knapp Research Forest, this washroom and gateway facility is used primarily by Camp Good Times, a camp for children with cancer and their families based at beautiful Loon Lake. This Maple Ridge business got a major facelift with an extensive facade upgrade to its store, fronted on Dewdney Trunk Road in downtown Maple Ridge. CLICK ON THE IMAGES BELOW TO SEE more photos (when available).